With natural snow depths exceeding what the ski resort has seen since 2004, Perisher opts for more spring skiing this season, now closing on October 7, 2018. According to Perisher, the mountain's natural snow depth sits at about 2 metres, with about 1 metre falling in August and more on the way. Translation: there's plenty of time (and powder) still left to get it in! 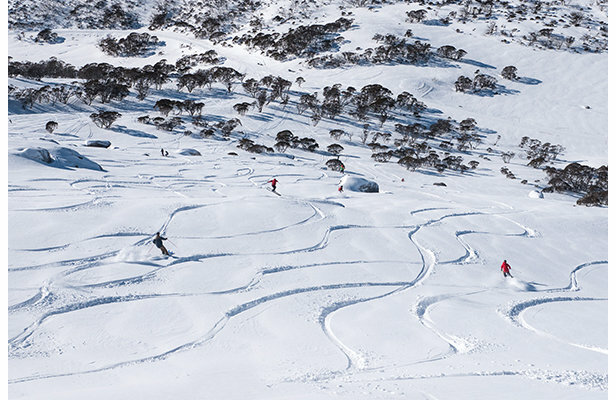 Check out the official report from Perisher for more photos, video and information. Perisher extends its 2018 ski season thanks to the best snow in 14 years. Plenty of powder for Perisher this season!